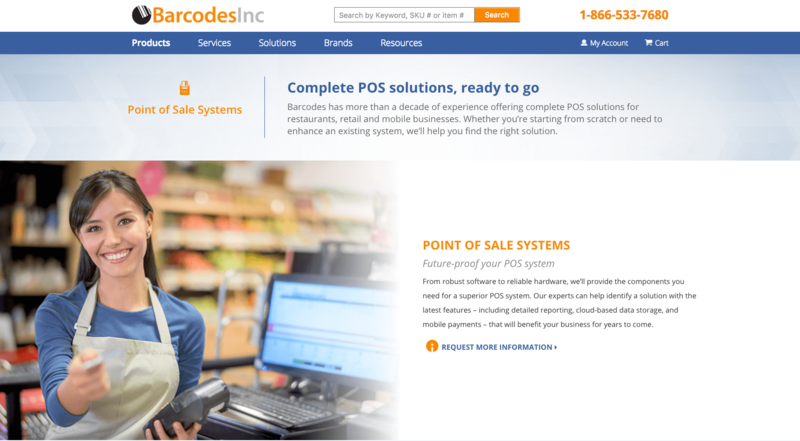 When Barcodes Inc purchased another company to expand its offerings, they asked mmg to create 16 new web pages to support the launch of their new services. Mmg developed a clean, flexible page design that allows Barcodes to showcase product photography, as well as photos illustrating their services in action. The ability to include big, bold photos was one of Barcodes’ key requirements. Working on a tight timeframe, mmg also coded the 16 new web pages to work across devices. In addition to design and development, our copywriting team researched and wrote all of the copy for the new Barcodes pages from scratch, including all of the SEO copy. In many cases, there was little or no existing source material about these technical services and products. But we got the job done.